It was Good Friday and with nothing to do in the morning, drove from Paete all the way to Liliw to look for this hidden organic strawberry farm in Liliw, Laguna, owned by barangay captain Mario Cortez of barangay Ilayang Sungi Upon arriving at the place, accessed by a narrow farm to market road, you can see several rows of strawberry plants, sweet basil, tomatoes, broccoli and other fruit trees, including a coffee tree. Tough luck though that there were a few visitors to the farm the last following days that's why not much ripe berries were available but still managed to get hold of a few ripe ones including several seedlings with ripe berries to show. This farm deserves another visit by Tutubi and will probably try to visit the mini-waterfalls in the area, at the foot of Mt. Banahaw one of these days. 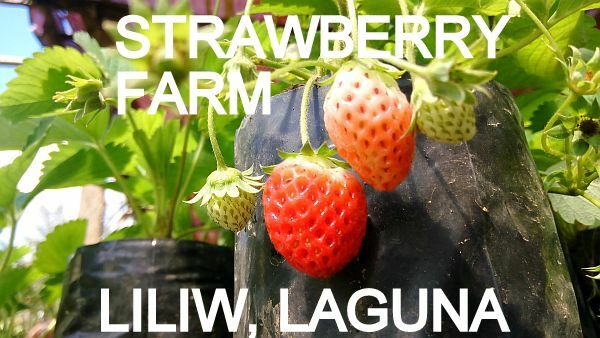 Here's hoping there's less need to go to Baguio, specifically La Trinidad, Benguet to do strawberry picking activity where you pay per kilo of the berries you picked if the farm and adjacent areas can be developed. from Manila, drive through Slex, take Calamba exit then head towards Sta Cruz, Laguna all the way to Jollibee Pagsanjan where you turn right (the area called Sambat). COntinue towards the old church in Liliw then take the service road going to Ilayang Sungi about 4.1 kilometers from the church as measured using a car's trip meter. By commute, take DLTB, HM Transport or Green Star bus to Sta. Cruz, Laguna. In Sta Cruz, take a jeepney going to Liliw. 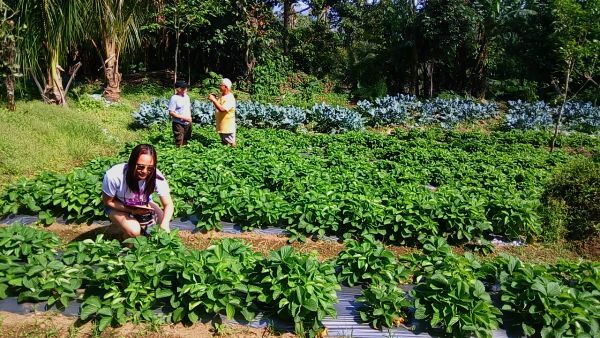 ride a tricycle to take you to Captain Matio Cortez's farm in barangay Ilayang Sungi. Pwede ko po makuha contact # po ninyo this is cielo DIZON po from TULAY of PTV4 PRA ma picture po namin ang strawbery farm! Meron po ba ngayong season na ripen na? :) punta po kasi sana ako. Thank you po. Meron bang bunga if nov.?